For six days (two of those including travel), my wife and I were invited to spend a few days with her sister and her family. They are extremely hospitable, and we enjoyed a few days away from the day-to-day issues of life so we could clear our minds and enjoy family at the same time. The concept of rest is important to God. He, the Creator of the Universe, took the seventh day of creation to rest. Was He tired? No! He was, however, setting a precedent for us to follow. Jesus extended an invitation to enter His rest in Matthew 11. Yet we are determined to prove our ability to push through without rest and ultimately crash and burn. I speak from experience. Four years ago, I didn’t know if I would bounce back from a short-lived crash that felt long. My friend, please understand the importance of resting from the craziness of life. Jesus got by Himself frequently to refocus and pray. We need the same. If you are feeling overwhelmed, you can’t afford to go beyond your limits. Jesus stands ready to give you His rest. Embrace it! Amen! Glad you guys got to go visit family. Welcome back. Hear the voice of experience–don’t forget the need for Sabbath! There was a time when I forgot, and paid a heavy price! Peace and blessings! I agree. 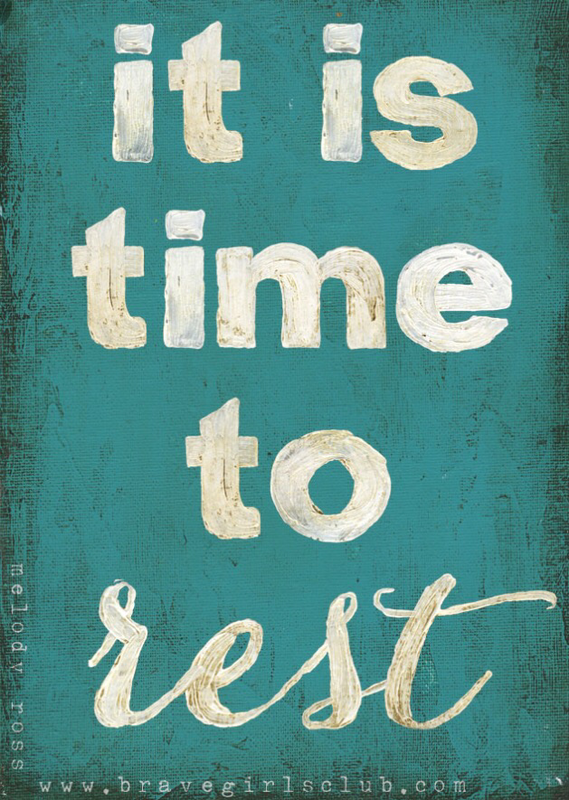 Rest and a break from routine is essential and God commands it. I’ve been learning this year the importance of resting in Christ and not just work work work. We tend to need the reminder constantly…at least I do.